Please feel free to contact us at BPI for further information. Contact information for BPI, including business phone number, is at the end of this page. Classes and private sessions are held at our offices at 3249 Hennepin Ave. S., in south Minneapolis, unless otherwise noted. Martin is available for private, one-on-one sessions. Normal business hours are Tuesday from 10:00 AM on, as well as Wednesday, Thursday and Friday afternoons/evenings after 4:00 PM. Other times may be available by special arrangement, if necessary. 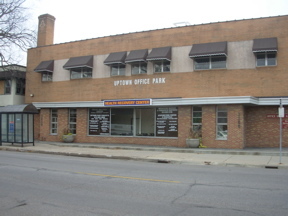 Our offices are at 3249 Hennepin Ave. S., in south Minneapolis. All sessions are by appointment -- please email us or call the business phone number at the end of this page. Ortho-Bionomy is a gentle, but highly effective system of therapeutic bodywork for the relief of pain and muscle tension in the body. It's useful not only in cases of injury (such as whiplash or sports injury), but it's also a great way to release the stress and tension of daily living. Private sessions are $80 and last about 75 minutes. Flower essences are an exquisite tool for breaking through psycho-emotional blockages and issues -- provided you find the right remedies. Martin is one of the leading flower essence consultants in this region. In a 1 to 2 hour consultation, we will determine the appropriate remedies to address your current situation, literally tuning the mixture to enhance your subtle energetic pattern. These sessions are $80, while the remedy costs $10 (plus 7.775% MN sales tax). Private readings of your astrological birthchart show the potentials and basic "life stories" that you were born with and keep reliving daily. Clients usually find this overview of "why my life happens the way it does" quite illuminating and often a big emotional relief. Readings also include a look at the current astrological influences (transits) affecting your birthchart, which trigger your current and upcoming circumstances. Martin brings years of astrological experience to his readings, along with uncommon depth and sensitivity. These readings last about 2 hours and cost $100. You are encouraged to record the reading for later reference, so please bring your own recording device. Astrological readings by phone are also an option for out-of-town people. I generally like to do phone readings on Saturday afternoons. Contact me by phone or email for further details. Information needed to set up your birthchart: 1) your birth date (year, month, day); 2) time of birth (the more accurate, the better, including time zone and daylight savings time info); 3) the city of birth. If you have specific questions you want to focus on, let me know ahead of time. Other astrological services available by request. Please call Martin at his business phone or email him to register for classes or find out more information. You must pre-register for all classes at least a week ahead of time. If you are interested in a class that is not currently scheduled, contact me anyway and get your name on our email list for classes -- I'll let you know via email when more information is available. If your store or organization would like to sponsor one of these classes or a talk/workshop at your place, contact BPI to make arrangements. Flower essences are highly effective vibrational remedies made from medicinal flowers for working with psycho-emotional problems in people's lives. These classes, taught by flower essence consultant and maker Martin Bulgerin, are an opportunity to get acquainted with these powerful remedies, or to deepen your understanding and skills in their use. This is a short 2 evening class that introduces the concepts behind flower essences, how they are made and used, and how to work with people to determine the most appropriate remedies to help them. The second evening includes some hands on practice with using pulse testing as a means of choosing appropriate remedies for clients. No prior experience is presumed, but we will cover a lot of material in a short time. Martin has been active in the area of natural healing for years and is locally recognized as an skilled expert in flower essence therapy. This class is a prerequisite for the Advanced Flower Essence Training. This is a series of classes suitable for people with a deeper interest in flower essences or who wish to use them in their own healing practices. We cover many remedies in depth, general concepts of subtle energy and psychology that underlie successful essence work with people, pulse-testing (literally a "hands on experience"), working with clients, and many other topics. These are the first classes of their kind where I share the decades of experience I've gained in this field. The chakra system is an indispensible tool for understanding and talking about the human subtle energy system (or aura). I routinely use the condition of a client's chakra system as a way to describe their aura and to choose the flower remedies for treating them. We will study in depth the types of experiences common with each of the chakras, flower essences that have a particular affinity with each point (based on my own research) and how to assess the points through observation and pulse testing. This is one of my advanced topics in flower essence work, so some prior experience is recommended. Australian naturapath Ian White traveled all over the "Down Under" to make his collection of vibrant and powerful flower remedies that embody the aboriginal healing powers of this sacred land. In this class, we will start exploring this collection, covering the remedies from this large kit that come up most often. Much of the material is based on class notes I took during workshops that Ian taught here in the US, plus my own experiences with the remedies after using them for several decades. This is a new class consisting of material I've just started to share. Date: Tuesdays, starting Mar 28, 2017 (4 sessions). The FES flower essence kit is a large collection of essences, some that are so useful they come up every day, others only once in a blue moon. This series of 4 evening classes covers the most important 30 or so remedies from the FES that you will use most often. Descriptions of these remedies are on a deeper level than can be found in most books, based on years of my experience with these subtle energies and how they work in people, including correspondences to the human chakra system. This is one of my advanced topics in flower essence work, so some prior experience is recommended. If you've ever looked at your own (or a friend's) birthchart and it looked "clear as mud", then this beginning astrology course is for you. This six evening class covers all the basics of reading a natal horoscope, including the following topics: Planetary Symbolism (the major planets, asteroids and other important points in a birthchart), Zodiacal Signs, Houses, Aspects and Complexes, Synthesizing an Interpretation. By the end of these classes, you should start clearly seeing the living person in the birthchart. No prior astrological background is presumed, but prepare to move through the material quickly! You'll need a copy of your birthchart; these may be obtained from the teacher for $5. Attendance at all classes is highly encouraged. Extensive handouts provided. Additional topics (such as transits) discussed as time permits. An excellent way to start doing "real" astrology! The full line of flower essences, gem elixirs, and HCW remedies from BPI are explained on our Flower Essences page, including ordering information. Mail order within the USA is available. A subscription to our monthly astrological newsletter, The Daily Koz, insures you will find out about the upcoming planetary influences and how they affect you in a timely fashion. You could easily spend hundreds of dollars a year to get this kind of detailed astrological information, instead of $3 a month. Have all this info mailed to your door each month -- it beats waiting for me to update my astrology web pages! If you'd like to see what the planetary waveform of your own birthchart looks like, order your Natal A5 Spectrum. These waveforms are my number one astrological tool for understanding charts of all kinds -- they help you "see the forest for the trees" in a chart. This is extremely useful if you tend to get lost in the details whenever studying your birthchart. The BPI office is in the Uptown Office Park at 3249 Hennepin Ave. S., Suite 235, in south Minneapolis. The building is right on the NE corner of Hennepin and 33rd St. Enter through the door on the north entrance; we're on the second floor. Nearby landmarks: Hennepin Ave. is one of the main N-S streets in south Minneapolis. 33rd St. is 3 blocks south of Lake St. and 3 blocks north of the main entrance to Lakewood Cemetary. Scenic Lake Calhoun is several blocks to the west. The nearest freeway exits in this area are the Hennepin-Lyndale exits from I-94 and the 35th/36th St. exits from I-35W. On street parking in this area is at a premium. The best places to look for a parking spot are on 33rd St. or on Holmes Ave. S., which is one block west of Hennepin.